Years ago, Mizoram CM Lalthanhawla, in the course of a convivial evening, got to describing how a Mumbai five-star asked him for his passport before checking him in. Part angry, part amused, he had to patiently explain who he was and where he came from. I was reminded of this conversation this week after witnessing a spate of write-ups and discussions emanating from metro-based media outlets about why and how India discriminates against its citizens from the Northeast. The coverage was triggered by two tragic deaths, one in Bangalore and the other in Gurgaon. By themselves, these incidents need to be condemned in the strongest terms and the culprits punished. The question is: could this not have happened to any teenager studying away from home? 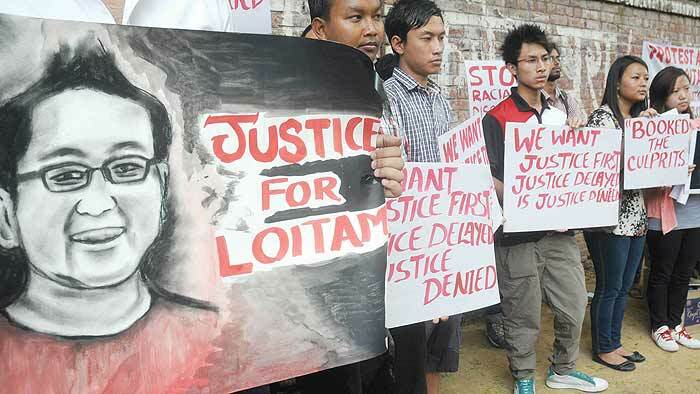 Some years ago, a Delhi boy was ragged to death in Himachal Pradesh. Was he killed because he was a city-slicker in a semi-urban hostel set-up? Or was he just an easy target for bullies? The fact is, across India, we are all labelled and discriminated against one way or the other based on our surnames. A Bong, a Mallu, a Tant (a typical army term for a Marathi), a Punju, a Bihari.... the pejoratives are many; their usage commonplace. Even within the Northeast, suspicions about each other abound. Clan and ethnic loyalties often take precedence over regional identities. A larger community often discriminates against a smaller ethnic group. A surfeit of student groups and associations formed on tribal lines in most big cities bears testimony to this reality. All of them prefer to keep to themselves, trying to find protection in numbers. Inter-ethnic tensions from back home are carried to far-off places too. So, for instance, Naga students will keep away from a Meitei group or a Bodo students association will remain aloof from their Assamese counterparts. The smaller the numbers, the greater the xenophobia. Even in a large city like Delhi, ethnic loyalties lead to ghettoisation. But for every act of hostility, there is a Sudhir Phadke. Decades ago, the legendary Marathi singer and composer took a couple of boys from Arunachal Pradesh under his wing in Pune, educated them and—without fuss—assimilated them into Marathi culture, its music and language. There are several similar stories that I can cite. A conservative estimate suggests that over 50,000 students leave the Northeast every year to study and eventually work all across India—even in smaller towns like Sangli and Hubli, to name just a couple. Scores happily settle down in bigger cities in search of a career and are unlikely to ever return home because there aren’t enough jobs in the still-underdeveloped region. They are as much part of the big city melting pot as a Mallu, or a Bong, or a Bihari. As cities like Delhi struggle to shed their provincial character and turn ever more cosmopolitan, there will be a lot of churning that happens and newcomers—whether from the ‘deep south’ or from the ‘far east’—will face tough times. That should, however, not deter the pioneering. And people from the eight states are nothing if not brave. All they need to watch out for is the danger of succumbing to the notion of victimhood. As I often say to my friends from the region, they have been repeatedly indoctrinated by their leaders to view themselves as victims of conspiracies hatched by the central government and people from the rest of India. The truth is, no one has either the time or the inclination to do so. But the old mindsets are changing both in Delhi and the Northeast. The neglect meted out in the past has given way to more focused attention to the region and its people. Even in mega cities, as more and more northeasterners work and mix with others, a gradual acceptance of their different looks and languages will happen. And as a Mary Kom or a Lou Majaw become icons for sports and music fans from even outside the Northeast, the region will gain larger focus than before. A Lalthanhawla could laugh off an unintended insult at a five-star. The families of those who get maimed or killed because they look and dress different and speak a language not of the majority won’t as easily get over their trauma. And yet, as the two-way flow of people, goods and services between other parts of the country and the Northeast grows, the rest of India will begin treating it not as an exotic entity, but an integral part of the idea that is India.